Solve this confusing brainteasers puzzle image. Interesting puzzle image only for geniuses! Well, this one is pretty simple and easy. 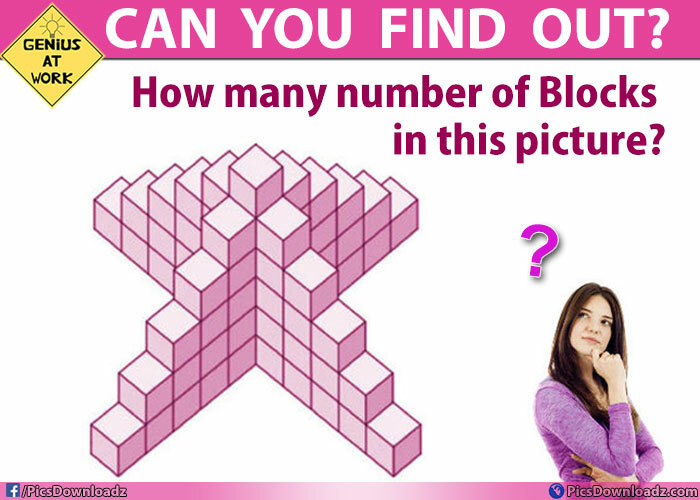 Just find, how many numbers of blocks are there in this picture? Let see how’s your IQ level. Share your answer below. Found it? the comment section is all yours. You can confirm your answer below the post. And don’t forget to like us on facebook for more interesting updates. Also 6 blocks in the center, therefore: 60 + 6 = 66 blocks Ans. How many did you get in your first attempt?